What Happens After the Water Moves Away? 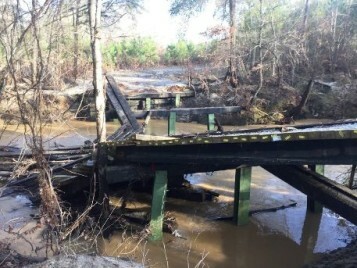 Recent flooding in Alabama caused much damage, including washing out the 50 year old timber bridge pictured below. 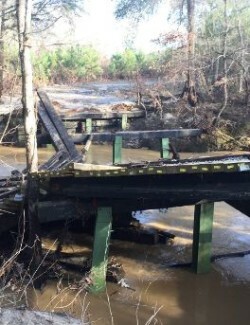 The owner of a herd of cattle depended on that bridge to get feed to his animals. 3 days and $6,000.00 dollars later they were back across the creek taking good care of their stock. The rancher could not believe how quick it all happen. 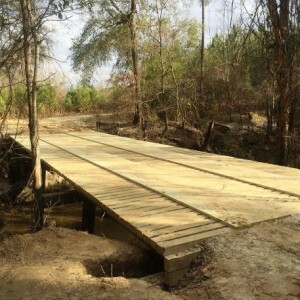 The bridge was, once again, operational and able to handle heavy loads. The wooden timbers used also stored some 6,800 pounds of green house gases. That’s a “two step” in the right direction………………QUICK AND GREEN! 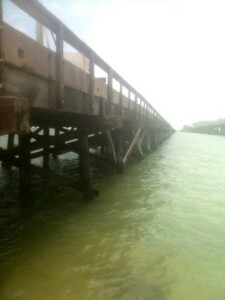 Along Highway 35 north of Rockport Texas there is an old fishing pier, or at least that is what it is today. 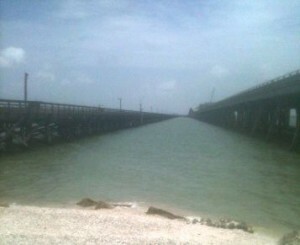 Back in the 50’s it was a modern Texas State Highway Causeway, one of the longest in the state at the time. Over the years traffic count out grew it. It was replaced for traffic use some years later by a concrete structure. 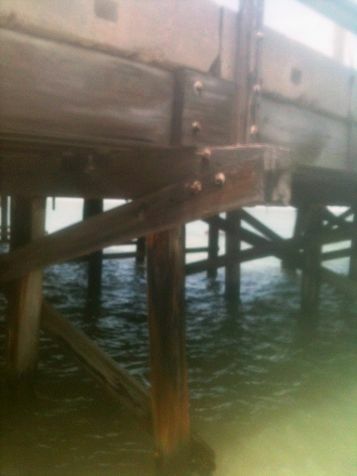 Now the third generation Causeway is under construction at the same location and the old fishing pier carries on. Over 1.3 million pounds of green house gases are contained in that structure. The timber used in its construction will never give it up. The replacement Causeway released over 1.9 million pound of green house gases during its construction and the third generation Causeway will contribute over 2.5 million pounds of green house gases when it is finished. We all benefit, whether we fish or not, when the structures we build remove green house gases from our world. Let’s get hooked on that concept and start removing green house gases instead of adding to them.